Unsurpassed in performance and durability. Designed for everyday use by featuring a porcelain-on-steel surface that will resist scratching, denting or staining. 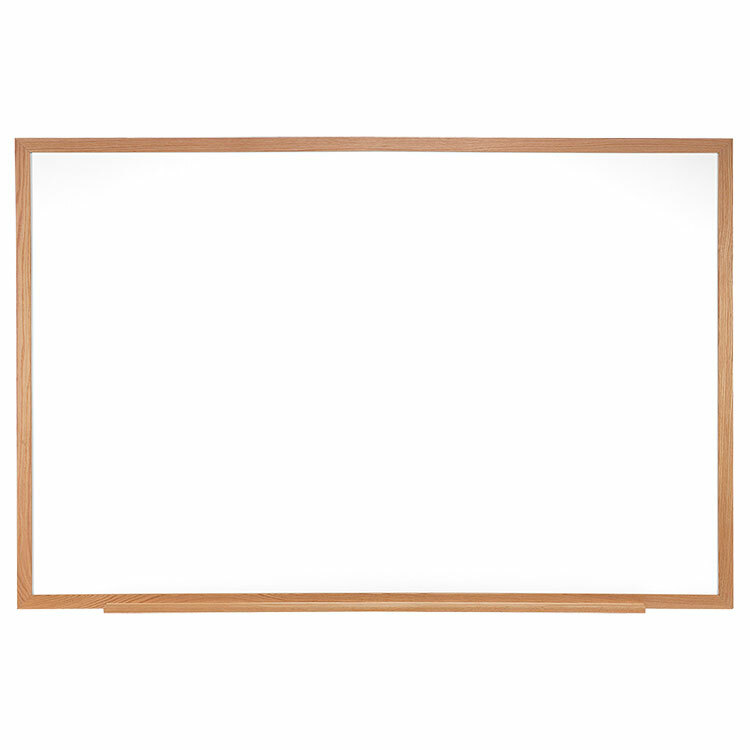 With multiple frame options and a variety of sizes, the magnetic board is the best quality whiteboard around. The porcelain surface is bright white and easy to keep clean, making sure our customers won't have to work hard to keep the board looking nice. Each board is shipped with a detachable tray in our worry-free packaging, making sure your board gets to you on time and in great condition. The magentic board can be used to post bulletins and can be paired with a blade or box tray. 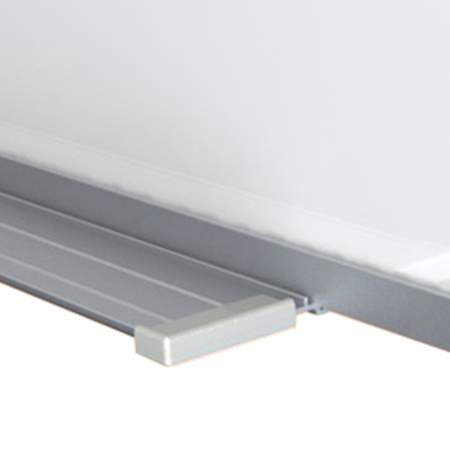 With multiple frame options and multiple frame sizes, your porcelain board will fit where you need physically and aesthetically. 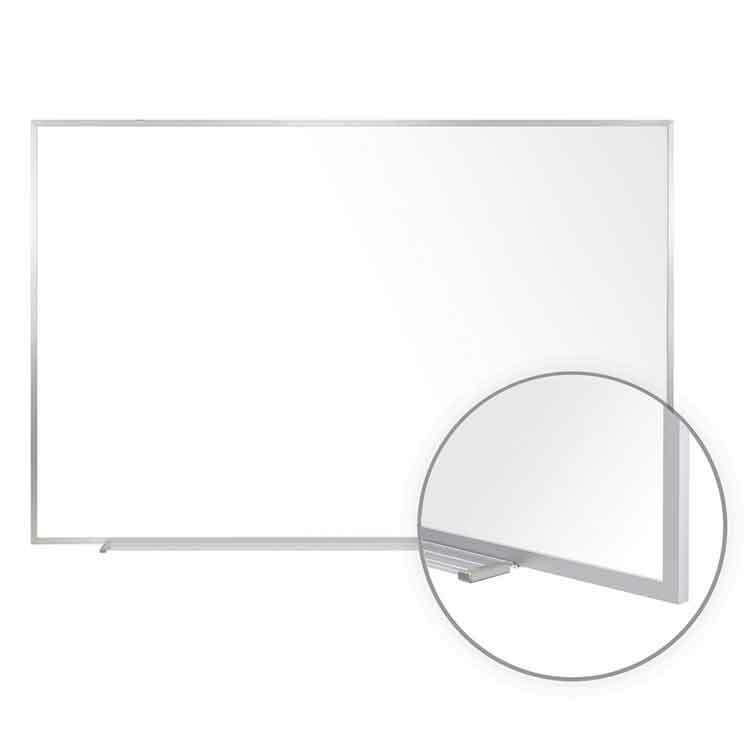 The porcelain enameled surface keeps the dry erase surface from scratching or denting. 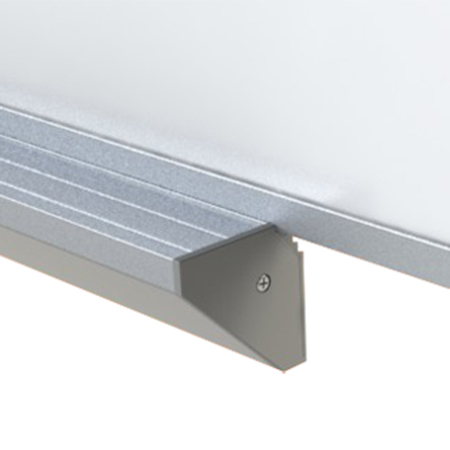 Install your board in high-traffic schools and offices without worrying about replacing the board. 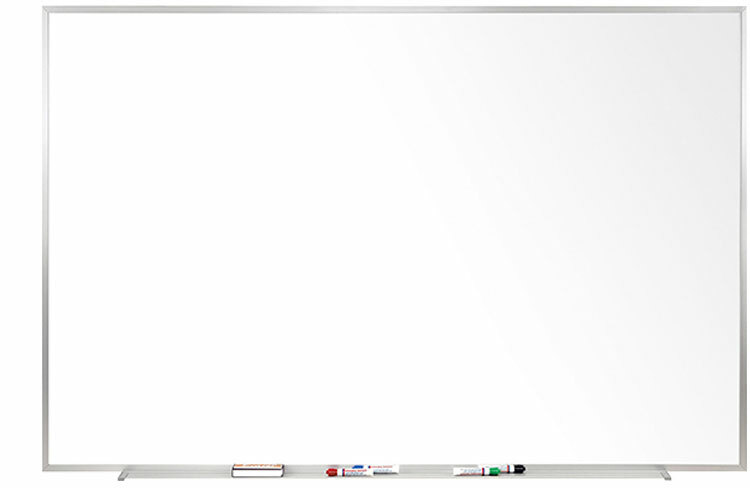 Offering a superior writing surface and unsurpassed durability, Ghent's Porcelain Magnetic Whiteboards were made with our customers in mind. 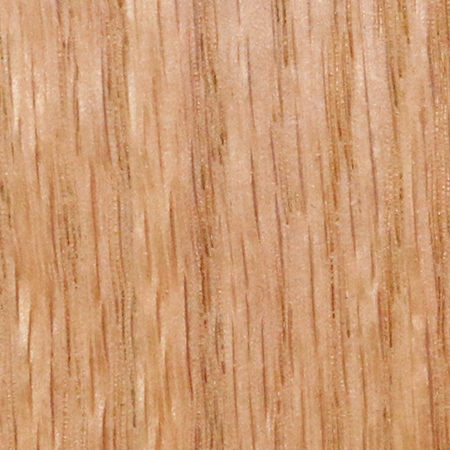 The 28-gauge porcelain-on-steel surface is mounted to a 3/8" backing for added strength. The durable porcelain enameled surface keeps the dry erase board from scratching or denting, even when installed in high-traffic schools and offices. The wear resistant surface does not absorb ink, eliminating staining and ghosting that would otherwise result from repeated use. The easy-to-wipe surface requires less cleaning, achieving a long-lasting bright white surface without the hassle. Ghent's whiteboard holds magnets and can be used to post bulletins without worrying the announcement will be erased. Boards 3'x5' and larger include 1 marker and 1 eraser. 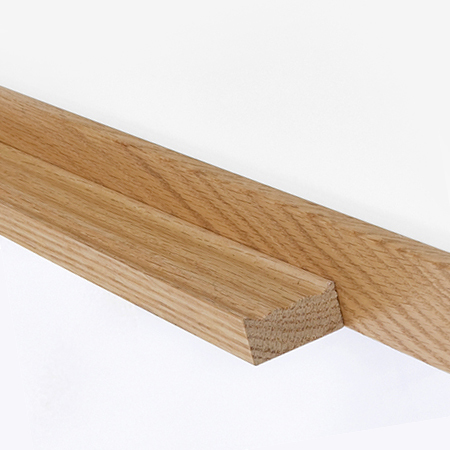 Board is available in eight standard sizes up to 4’x12'. Each board comes in our sleek Satin aluminum frame with an accessory tray and protective end caps. Our SmartPak tray is detached for easier installation and reduced waste and damage during delivery. Our boards are shipped to you in Ghent's worry-free packaging, designed specifically for shipping whiteboards. 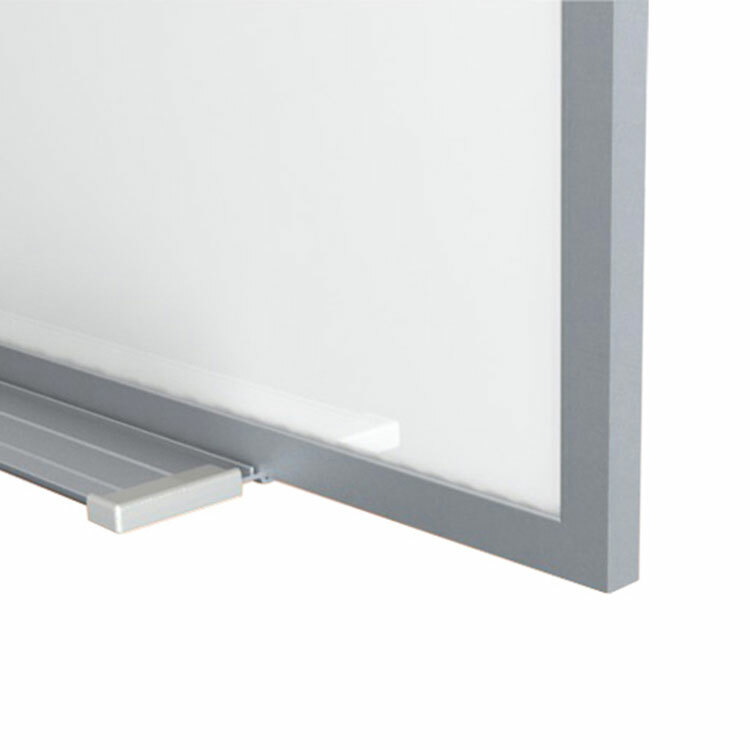 Ghent's porcelain magnetic whiteboard carries a 50-year warranty and is made in the USA.